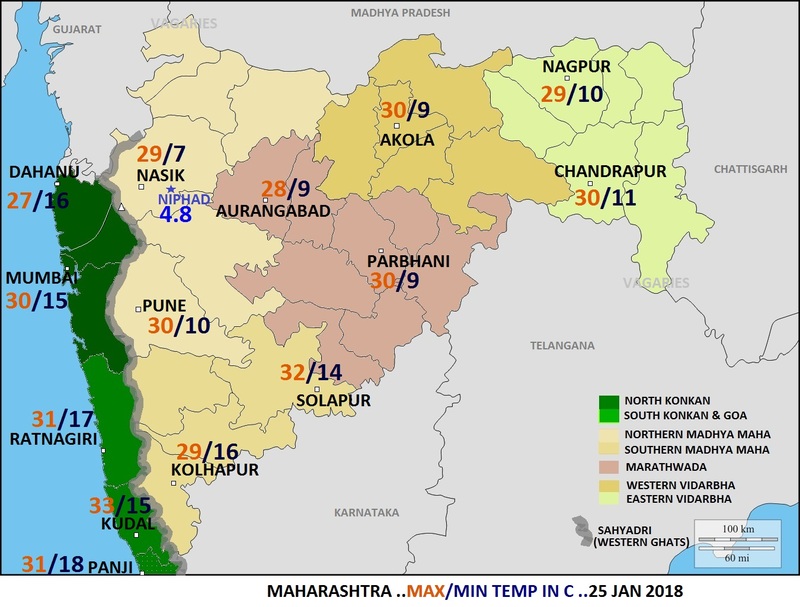 Niphad (Nasik district) has recorded lowest min temp in the state today @ 4.8 c .
North interior Maharashtra experienced sunny,crisp,extremely dry days at 29 c (hum 20%) and chilly nights at 8 c .
The Konkan coast experienced fine,sunny,crisp,dry days at 30 c (hum 30 %) and cool nights at 15 c .
In Mumbai region , lowest min temp was recorded at Palghar @ 11.4 c .